For the second time in a period of only a few years this community was shocked by the sudden death of one of its oldest and most respected citizens. 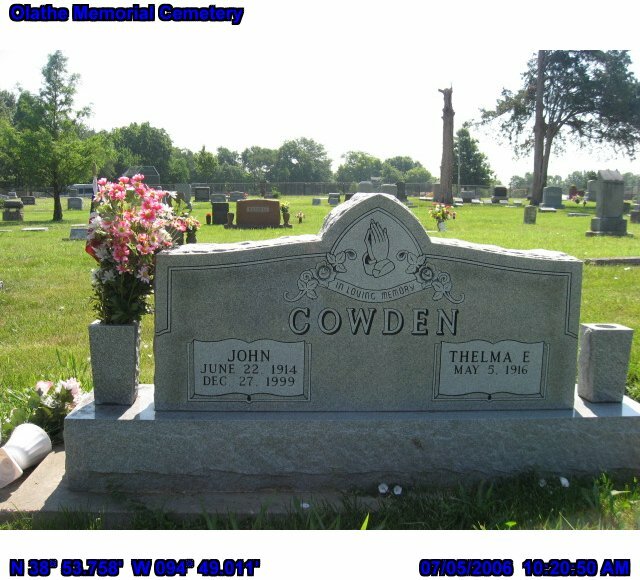 On Thursday evening, August 11, John Cowden, while sitting in social con erse with friends at the home of a neighbor, fell from his chair unconscious and in a moment expired. 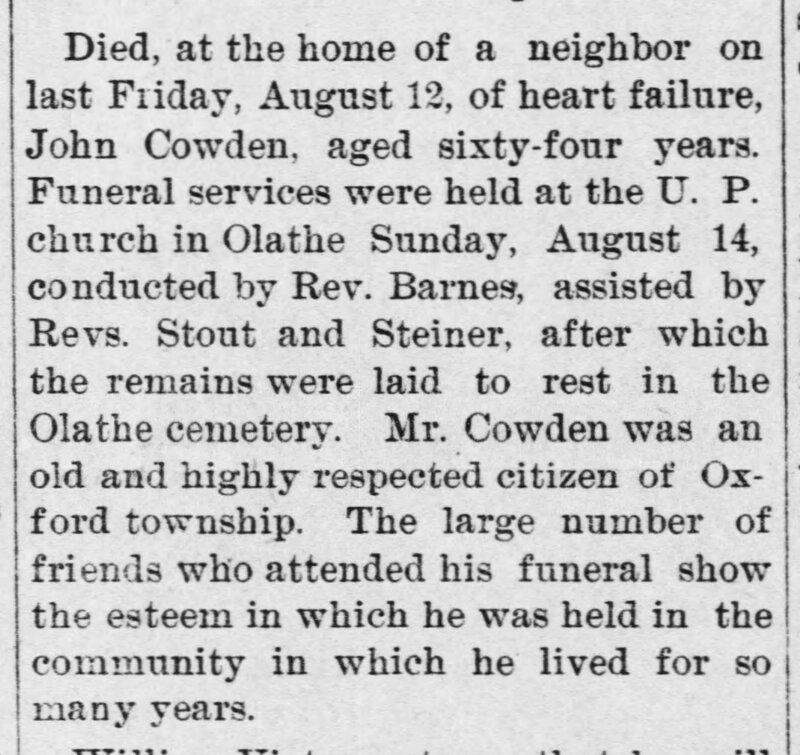 Mr. Cowden was born in Muskingrum county, Ohio, in 1834, and was at the time of his death sixty-four years of age. Most of his early life with the exception of about three years spent in California. In the early sixties he lived in Guernsey county, Ohio. He was married to Miss Hattie J. Mercer. In 1866 he came with his wife and oldest child to Johnson county, Kansas. In October, 1868, he bought and located on the present homestead in Oxford township. In the spring of 1869 he united with the Union church, now called the United Presbyterian, when twenty-five years of age. The funeral services were conducted at the United Presbyterian church in Olathe on Sunday afternoon, August 14, by the Revs. Barnes and Stout. The remains were laid to rest in Olathe cemetery in the presence of a large number of sorrowing friends.